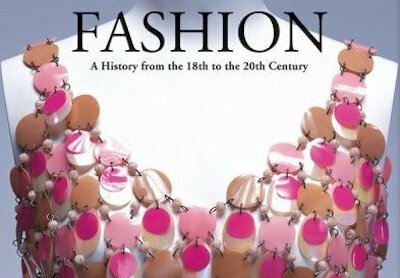 Fashion: A History From The 18th To The 20th Century was first published (by Taschen) in 2002. It has since been reprinted, both as a two-volume set (Volume I: 18th & 19th Century; Volume II: 20th Century) and a single-volume edition. The capsule biographies of designers have been updated, though there have been no other changes since the first edition. 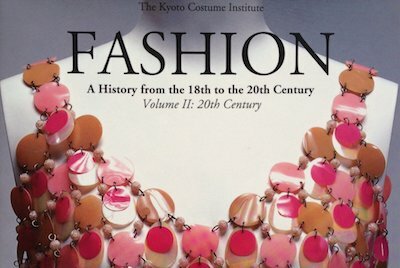 Nevertheless, the book is significant for its historical scope and its photography. 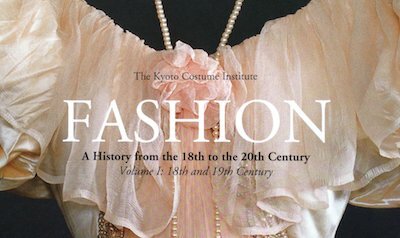 Whereas most fashion histories (such as Fashion 150 and the excellent The History Of Modern Fashion) begin with Charles Worth in the 1850s, Fashion starts in the Rococo period. 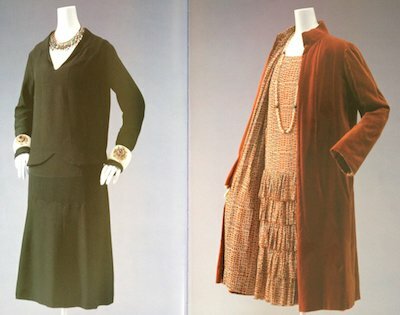 The book is also exceptional for its emphasis on photographs of actual clothes, displayed on mannequins, as opposed to the catwalk photos or drawings found in many histories of fashion and costume.